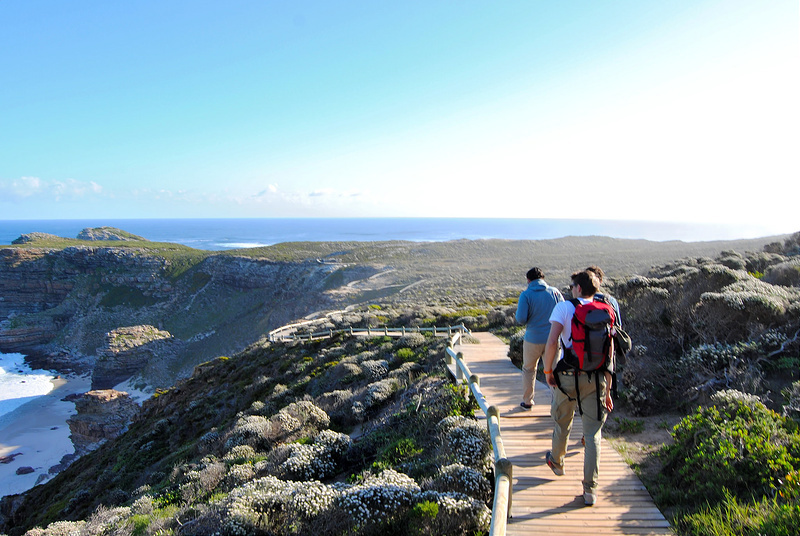 After cycling the Cape Peninsula and discovering the fascinating story behind the Cape of Storms (Cape Point), it is finally time for the grand finale: Hiking to Cape of Good Hope in South Africa. 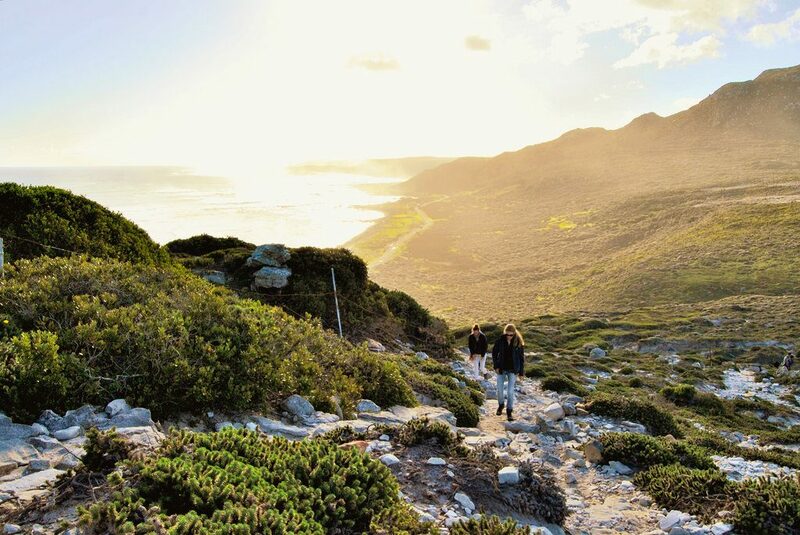 To be exact, the Cape of Good Hope (‘Kaap die Goeie Hoop’ in Afrikaans) is the rocky tip of the Cape peninsula that stretches out into the Atlantic Ocean. 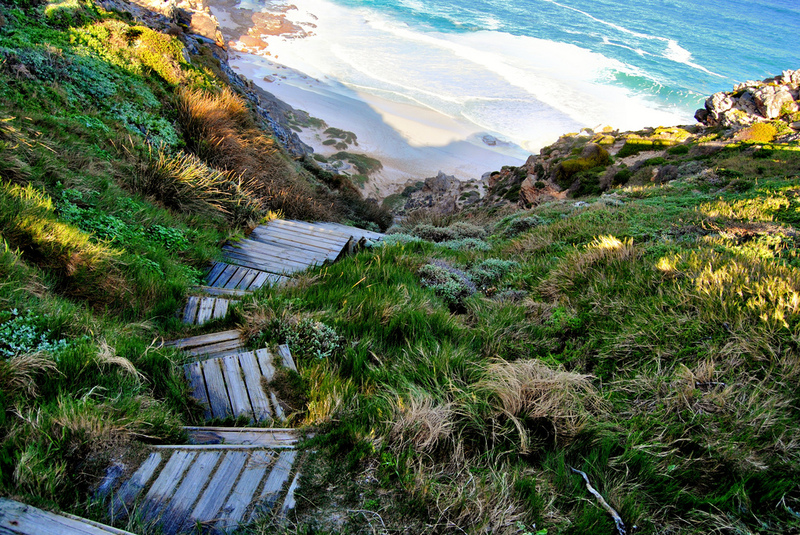 The tantalizing views of the rocky coastline along the hiking trail are the best I’ve ever seen. My brother and I explored the area in July 2014. The native inhabitants of the Cape Peninsula are the Khoikhoi people. The first European to come across the Cape of Good Hope in 1488 was Bartolomeu Dias, a Portuguese explorer. After enduring many dangerous storms, he named the area ‘Cape of Storms’ (‘Cabo das Tormentas’). The person who most probably renamed it Cape of Good Hope (‘Cabo da Boa Esperança’) was King João II of Portugal. He did so because the discovery of the Cape sparked much optimism about finding a successful sea route to India. Look, it’s me taking the most touristy picture possible on the African continent! 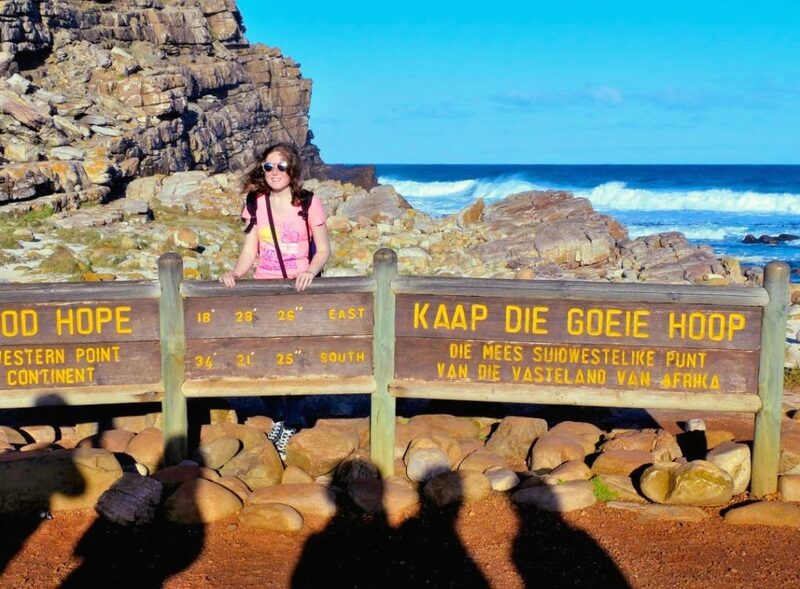 The sign reads: Cape of Good Hope, the most southwestern point of the African continent. Cape of Good Hope is still most famous for being the most Southern tip of Africa, although this claim is not entirely true. 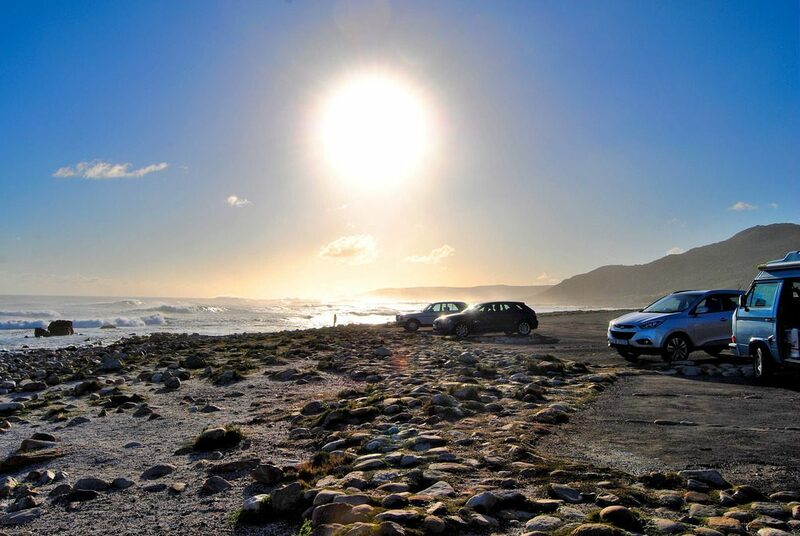 In reality, the southernmost point of Africa is Cape Agulhas, which is located about 150 km to the southeast. However, Cape of Good Hope does mark the location where a ship would have to change direction. This point is where they would begin to travel more eastward than southward. 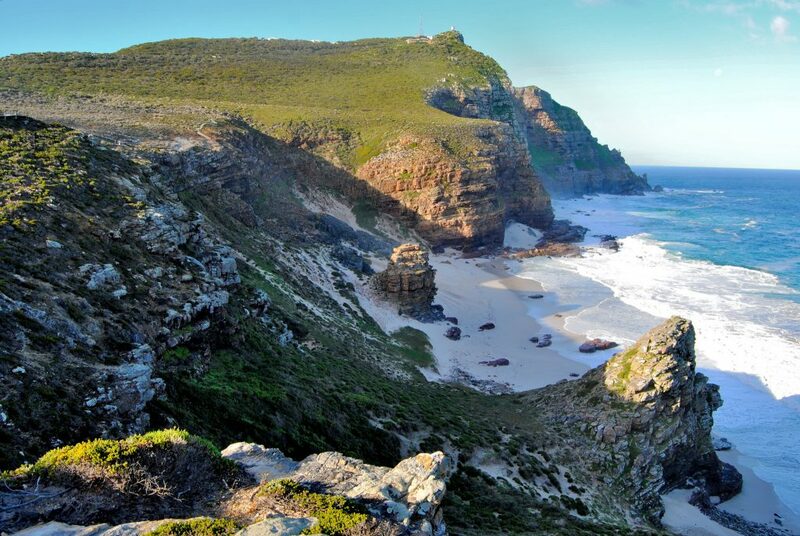 The Cape of Good Hope is also the home of the legendary Flying Dutchman (Vliegende Hollander). The Flying Dutchman is a story about a flying ghost ship and a crew of damned sailors. Their ship is doomed forever to fight the deadly storms around the Cape and never reach land. The 17th-century myth became famous after several 19th and 20th century reports. These reports claimed ominous sightings of a glowing ghost ship. When the ship is contacted by other sailors, the Flying Dutchmen will try to send messages to people long dead, so the story goes. 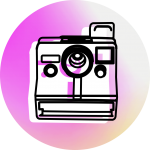 This article is the final installment of a series of posts about the Cape Peninsula and areas belonging to the Table Mountain National Park, an official world heritage site. 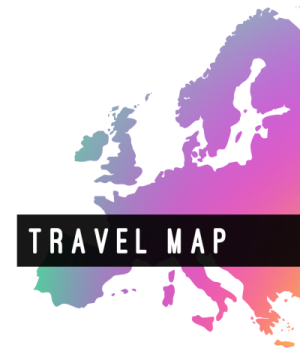 I strongly recommend you to take the time and plan a few days to explore the peninsula. Pick a sunny day to make your way up Table Mountain and meet the adorable troupe of Dassies living on top. 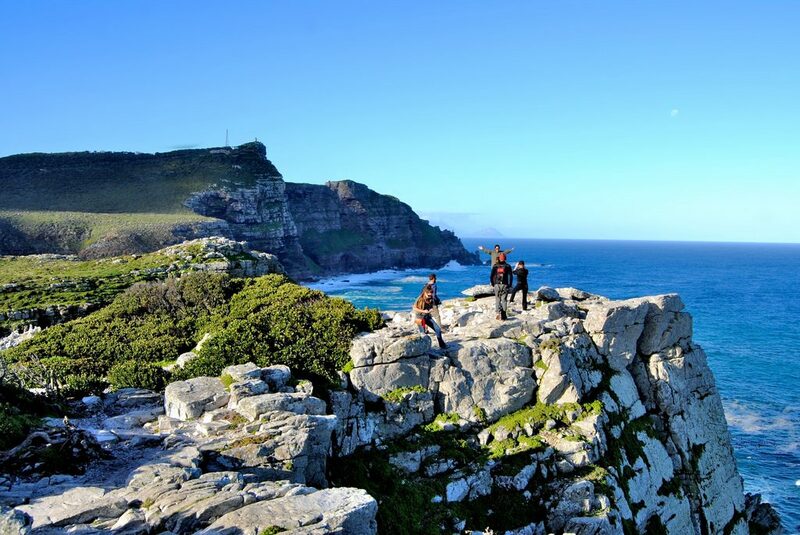 If you are physically able to, climb the peak at Cape Point and take your time absorbing the views. 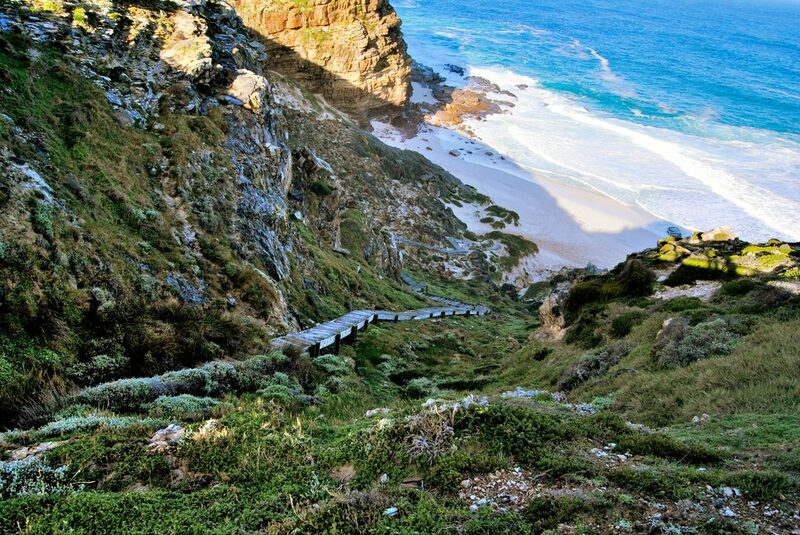 Then continue by hiking to Cape of Good Hope towards the finish on the beach. The easiest way to do a full tour is to join a peninsula tour group (my brother and I went with the Bazbus Peninsula Tour). Trust me, you won’t see anything like it anywhere else on our planet.